Well, it’s that time of year again. 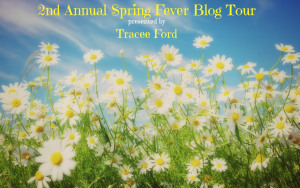 I am hosting the 2nd Annual Spring Fever Blog Tour. This year’s format is much more condensed and the authors featured basically wrote a story about themselves. Some of those stories are very detailed and others skim the surface of who these talented individuals truly are. I have not altered or changed any of the upcoming features. All of the words were written by the featured author. I didn’t edit. I just simply decided to present who they are, to you, the reader. I wanted them to tell their story. So, starting tomorrow night, an author will be featured between the hours of 5 p.m. and 9 p.m. through the entire month of April and a few dates in May.